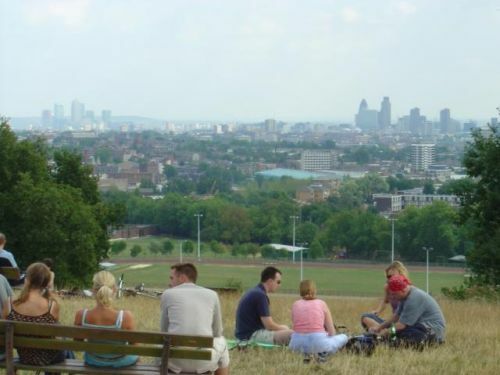 This is a high part of the Heath with clear open vistas, and the views looking south over the city are quite wonderful. This is a high part of the Heath with clear open vistas, and the views looking south over the city are quite wonderful. Highly recommended on a clear morning, when you can see from Canary Wharf in the east all the way to Battersea Power Station in the west.